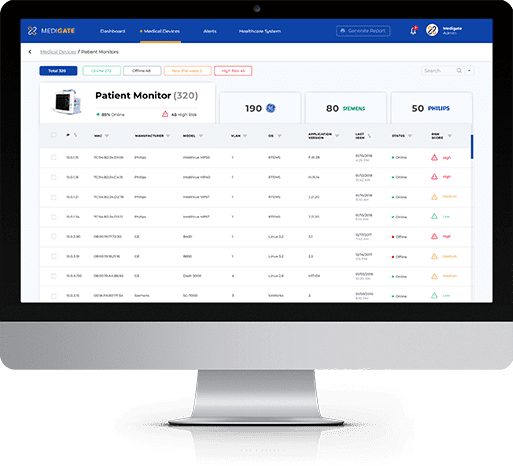 Our platform discovers and precisely identifies every connected device on your clinical network. Utilizing our industry-leading medical device signature database developed by Medigate Research Labs, we fingerprint each device with deep packet inspection (DPI) techniques, allowing dynamic inventory management and facilitating advanced detection and prevention capabilities. 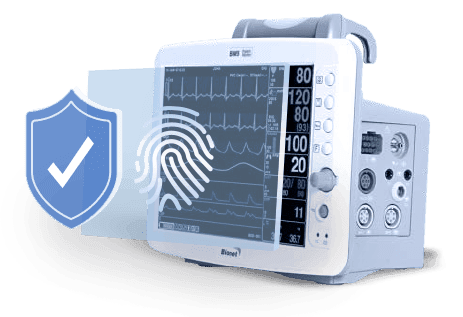 The Medigate platform understands medical device protocols, existing and potential cyber threats, as well as expected device behavior. It meticulously analyzes device and network communication, as well as medical workflow patterns, to accurately detect anomalous behavior and identify threats in real time with minimal false positives.  Our platform leverages data gathered through its visibility and detection capabilities. It minimizes the device attack surface through clinical micro segmentation and tailored security policies. The detailed device identifications enrich existing NACs and firewalls to deliver a comprehensive security suite with granular and clinical contextual security policies. 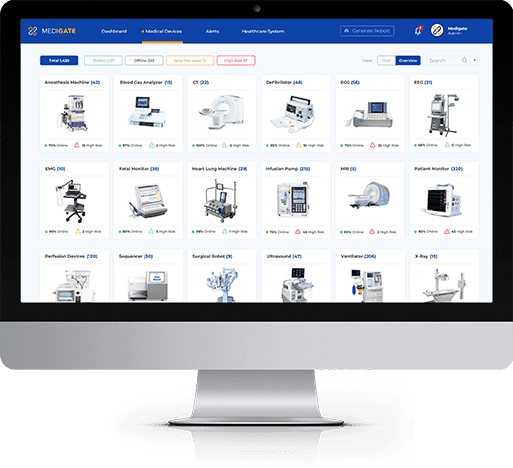 Our platform presents medical device related analytics to help Biomed teams make more informed decisions around utilization, procurement and maintenance, while streamlining processes by integrating with your existing CMMS platform. We help you get the most out of our analysis with easy-to-use interface, clear dashboards that facilitate real-time inventory and security management and concise data that drives actionable remediation plans. We analyze data from multiple facilities to deliver healthcare systems a tailored, system-level dashboard featuring overarching insights and recommending network-wide IT, Security and Biomed-oriented actions. We leverage our device-centric analysis to generate comprehensive reports focused on clinical visibility, risk assessment and actionable remediation plans for IT, Security and Biomed teams. Our extensive visibility and alerting capabilities are integrated with leading firewall, NAC, and SIEM platforms, so you can implement and enforce the most robust contextual security policies. leveraging DPI, our researchers provide the most comprehensive and accurate medical device discovery. Our real-time reporting delivers unmatched device tracking, management and utilization metrics.